You are welcome as a guest at our table, on our rural camping, or as a volunteer in our projects. You are welcome on camp on our small family camp site. 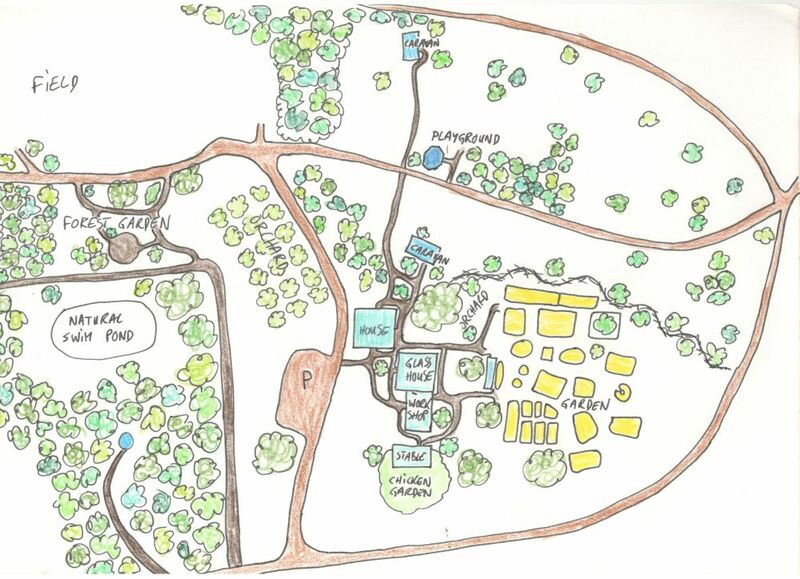 On 8 hectares of grassland, woodland, orchard and (edible) forest garden we made a few nice spots to camp in privacy. You can camp in sun or shade, on a site with or without electricity, or choose your own spot. Volunteers are welcome for a month or longer. At Bogata Suma you can learn about permaculture and a self sufficient life in nature. You can help with the garden, the forest garden, the food savannah or in the orchard, with the animals or with (light) construction work. We work with natural materials (wood, clay, straw) and with hand tools as much as possible. It is possible to visit us for a day and see what we are doing in our garden, on our terrain and how we get closer and closer to a self sufficient life. But please take note that we are quite busy, so we prefer it when you give us a call if you want to come. Day visitors pay € 5,- a person for being shown around and a cup of (organic) tea with a cookie. You can also have a nice and organic lunch or dinner with us. We use fruits, vegetables, eggs, mushrooms and meat from our land or from the neighbours/near surroundings.